We are excited to announce that Adirondack Quilts will be renting time on our Handi Quilter Forte. The Longarm Rental Training is REQUIRED before renting the machine. In this class you will learn how to load your quilt and the basics of using the machine, such as bringing up the thread from the bottom, starting and ending. We will cover free motion quilting such as all over loops, swirls, loops and stars etc. (Pantographs will be coming later). 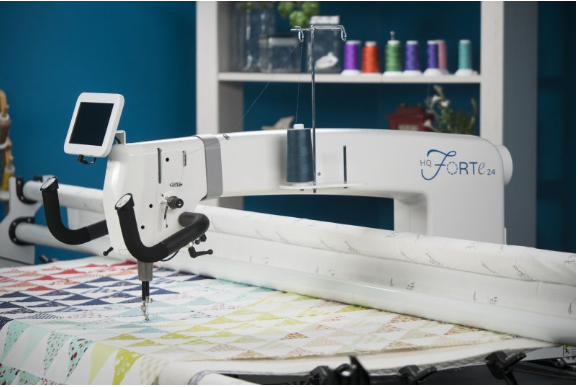 Once you have taken the course, we invite you to rent a longarm and get those tops made into quilts! We will review the rental agreement during class. Chose one date and learn how to longarm quilt!